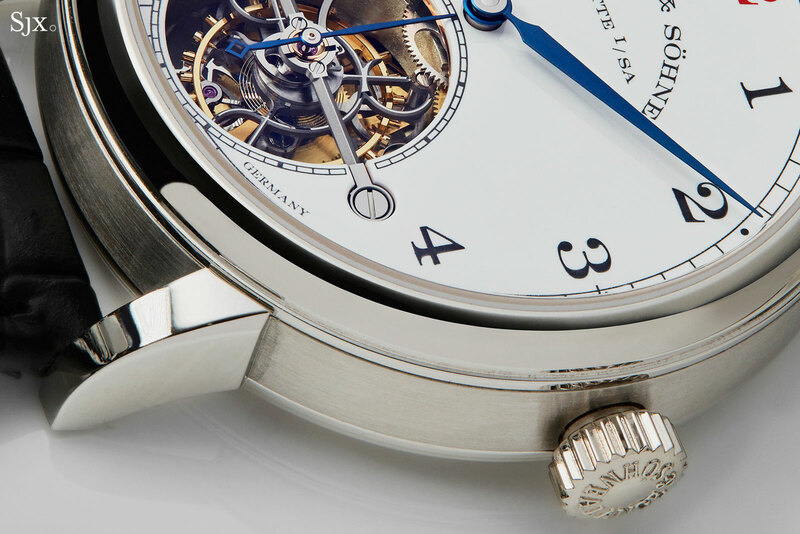 A. Lange & Söhne usually excels at watches that are conservatively styled, maybe slightly formal, and traditional in terms of watchmaking. Based on what is Lange’s entry-level tourbillon, if there is such a thing, the 1815 Tourbillon with enamel dial ticks all those boxes. The look is a familiar one, being inspired by dials on vintage pocket watches, or even early wristwatches, which had a red “12”, done in order to establish the correct orientation of the watch, since the crown could either be at three or 12 o’clock on the case, depending on whether it was a hunter or Lépine pocket watch. 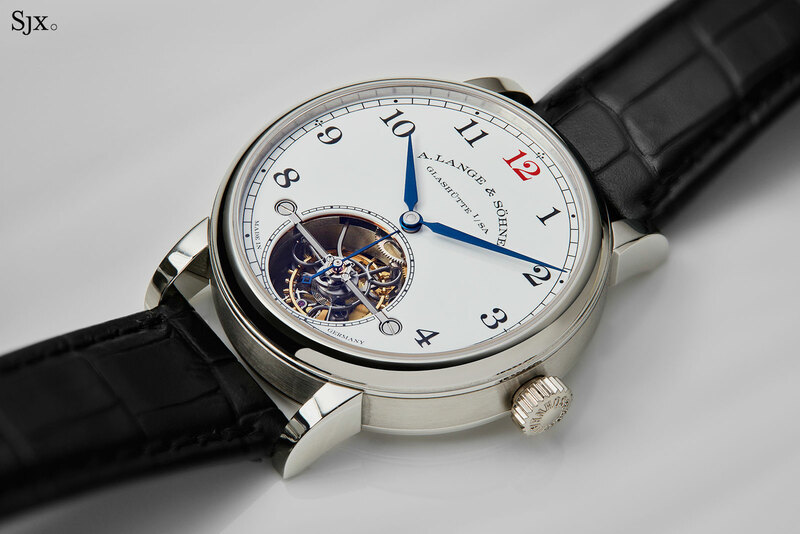 Lange appropriated the looks for one of its earliest limited edition watches, the Langematik Anniversary Jubilee (ref. 302.025) of 2001, which had a white, fired enamel dial with a red “XII”. 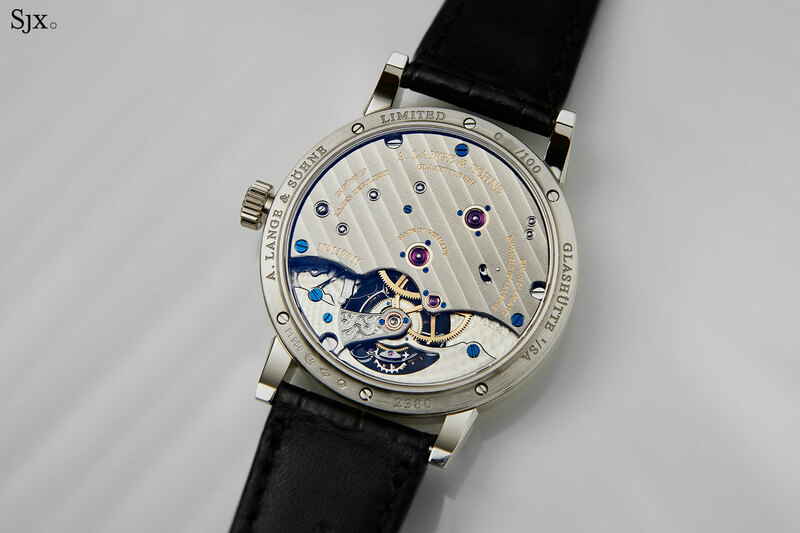 In the 17 years since its launch, the Langematik Anniversary has gradually become a collectible watch, often selling for between US$40,000 and US$50,000 at watch auctions, or almost double the US$23,000 or so that it originally retailed for. Given the allure and value of the Langematik Anniversary, it is not entirely surprising the look has been revived for the latest 1815 Tourbillon. 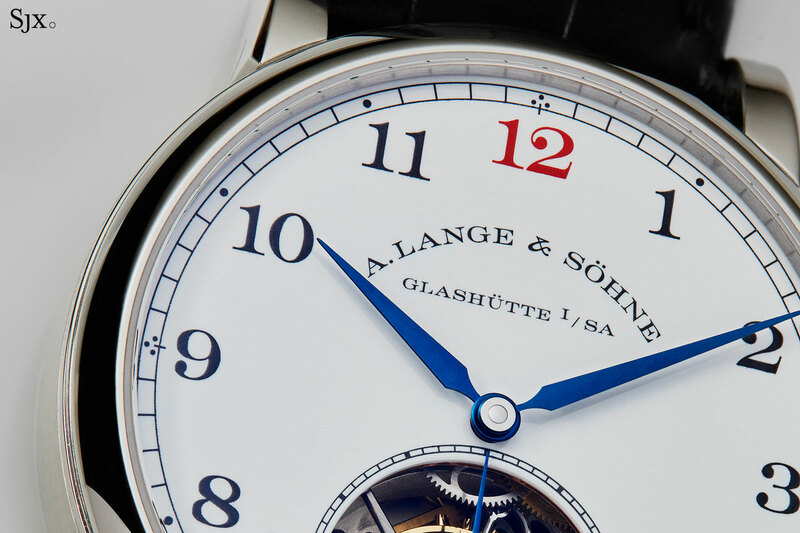 It immediately stands apart from all other Lange watches because the dial is a stark white, with a red “12” that jumps out. Nearly all Lange watches in the current catalogue are either clad in shades of silver, or darker colours, which makes the 1815 Tourbillon with enamel dial instantly unusual. But there are enough design elements typical of the brand – lance-shaped hands, the curved logo, a distinctive case shape – that is easily recognisable as a Lange wristwatch. Being an 1815, the dial has Arabic numerals, with the typically glossy surface of fired, vitreous enamel. Up close the dial reveals tiny imperfections that are characteristic of a fired enamel dial – there is no such thing as a perfect enamel dial – including tiny dimples on the surface. 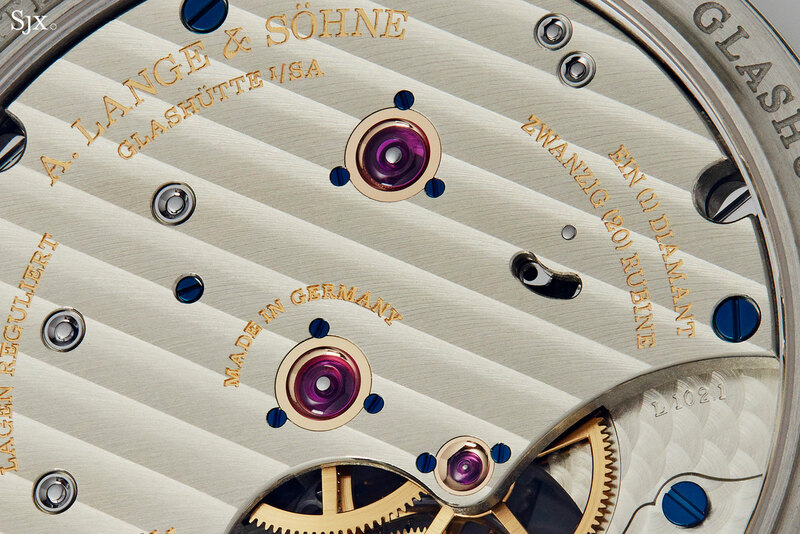 Instead of a gold base, which is often used for enamel dial (while standard Lange dials are silver), the enamel here is painted on a copper disc, which is visible just below the white enamel on the rim of the aperture for the tourbillon. Because the enamel dial is thicker than a metal dial, the watch is marginally thicker at 11.3mm, compared to 11.1mm for the standard model. Accommodated with a taller bezel, the increase in height is imperceptible, and the watch retains its good proportions. The case is 39.5mm in diameter, an appropriate size relative to the movement, and also large enough to give the watch presence on the wrist without being too large. The density of the platinum case gives this greater heft that the gold version, which is a comfortable sensation. The L102.1 movement inside is identical to the stock model, with two crucial features. The more exotic being the hacking tourbillon that relies on a Y-shaped lever to touch the balance when the crown is pulled, stopping its motion. The other is the zero-reset seconds, which is exactly the same complication found in the Langematik Anniversary that was equipped with the Sax-O-Mat movement, with the “O” referring to the zero-reset seconds. 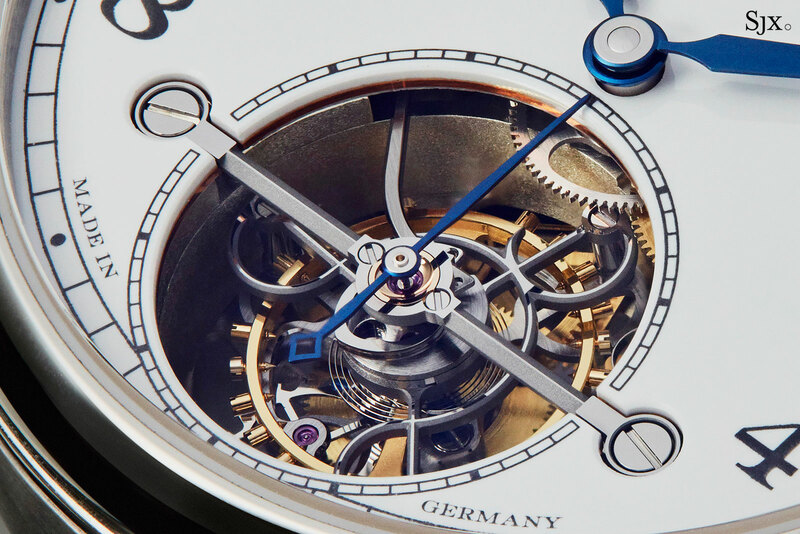 Pulling the crown to set the time causes the seconds hand, which is mounted on the same axis as the tourbillon cage, to reset to 12 o’clock and stop. 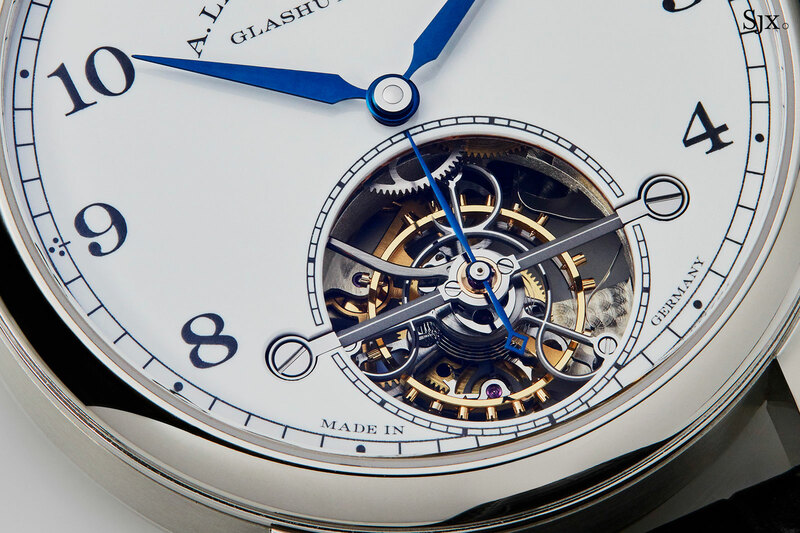 Visually the movement is reminiscent of the L902.0 found inside the Tourbillon Pour le Merite, the landmark Lange timepiece of 1994 that was the first to boast a chain and fusee inside a wristwatch. 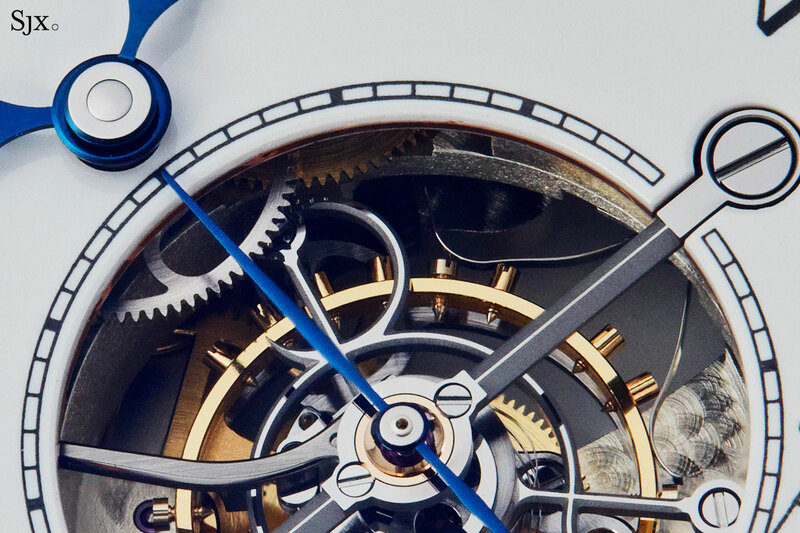 Though the L902.0 was significantly smaller, the finished watch was only 38.5mm, it clearly inspired the layout of the 1815 Tourbillon movement. But because the 1815 Tourbillon has a single barrel without a chain and fusee, the calibre has a large, unbroken two-third plate covering most of the movement, leaving it looking a bit cold. 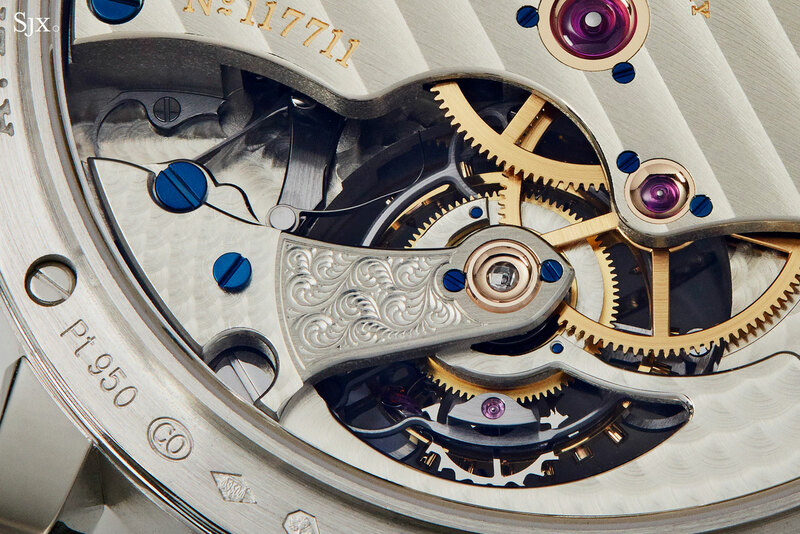 Up close, however, the movement is like any other Lange calibre, which is to say extremely well decorated and instantly appealing. 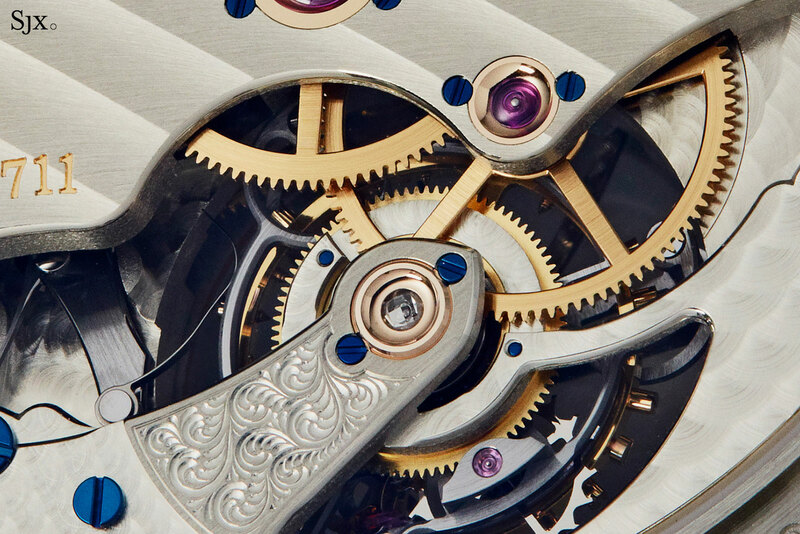 Several smaller details stand out as being notably fine, including the chamfered edges on the arms of the tourbillon cage, the bevelling of the base plate below the tourbillon cage, and also the underside of the tourbillon cage. Compared to the ordinary model in 18k rose gold, the enamel dial version is between 20% and 30% more expensive, depending on the local retail price. That’s in line with the typical premium levied for a platinum case as well as a fired enamel dial. For the collector who fortunate enough to buy such a watch, the extra cost of the limited edition is sensible, given the material and style. What is perhaps a drawback is the size of the limited edition, which is 100 pieces. Anecdotal evidence points towards the fact that pricier Lange limited editions, meaning those at or past the US$200,000 mark, tend to sell out swiftly when made in runs of 50 or less. Case in point are the Handwerkskunst watches, including the most recent 1815 Rattrapante Perpetual Calendar, or even the 1815 Tourbillon Handwerkskunst. While this has no bearing on the intrinsic quality of the watch itself, it does affect value retention, rarity and ultimately, desirability. 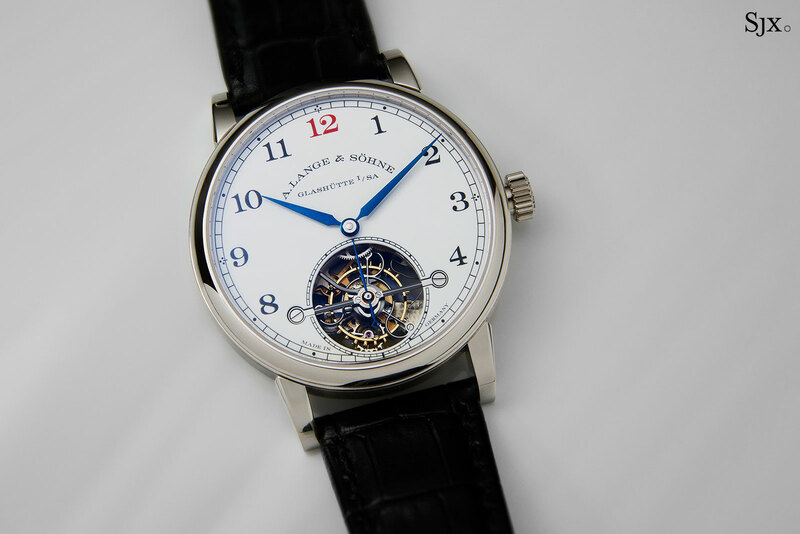 Limited to 100 pieces, the 1815 Tourbillon with enamel dial (ref. 730.079F) is already available at Lange boutiques and retailers. It’s priced at US$197,200 or S$283,000. And in Europe it costs €198,000 included VAT.